Stable movement A single axis system helps guide your hand and steadies your pulse. 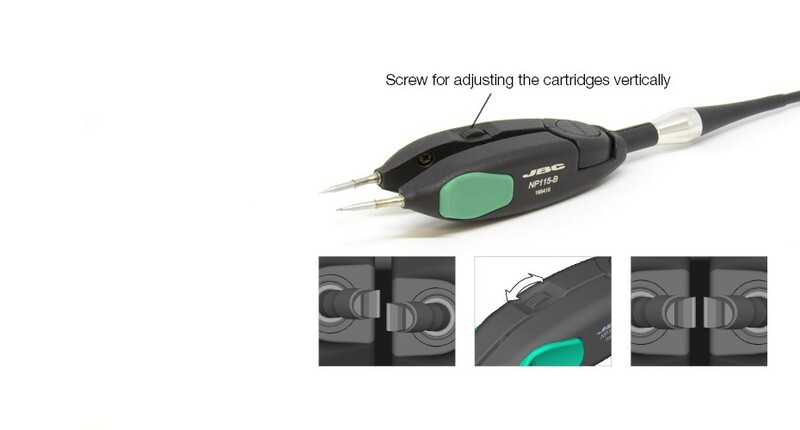 Ideal for very precise applications. Vertical cartridge alignment The screw guarantees a vertical alignment of the cartridges. One tip lines up with the other. Supplied without cartridges. Not compatible with C105 Cartridge Range.